Time To Pet supports both time tracking and GPS tracking through our Mobile Apps. When GPS is enabled, Time To Pet can capture the GPS coordinates of where your staff member checks in and checks out of their visits. Time To Pet also supports GPS Route Tracking on a service by service basis. GPS Route Tracking allows a company to capture the entire route a staff member took during the visit. GPS Route Tracking is a service by service feature as it may make sense to enable this for a "Dog Walking" service but it probably does not make sense to enable Route Tracking for "Overnight Pet Sitting". 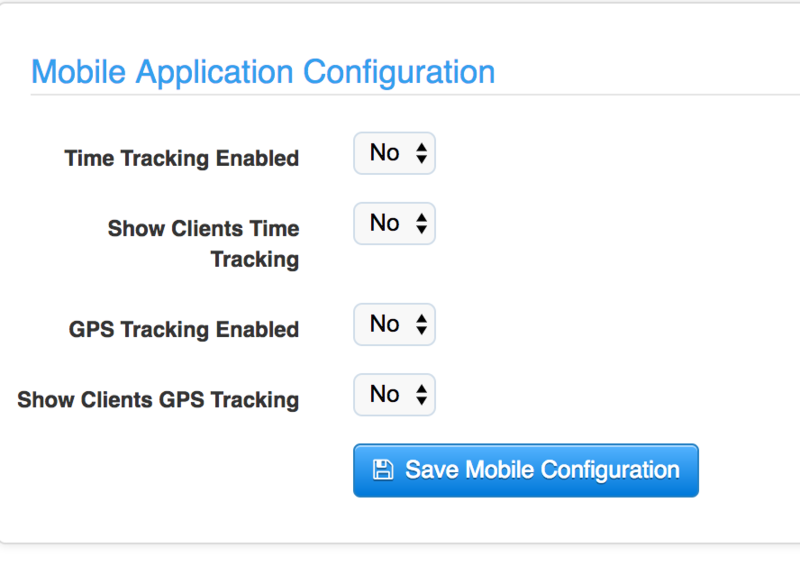 Standard GPS tracking (capturing GPS data when a staff checks in and check out of visits) can be enabled in the Mobile App Settings section. You can also choose to optionally share this data with your client. The GPS map gets published to the service's details upon the completion of the event. The map can be shown to clients along with the visit report if "Show Clients GPS Tracking" is set to "Yes". When enabled, Time To Pet will track the full GPS Route your staff member took when checked in to the visit.